Gail Kelly (née: Currer) (born 25 April 1956) is a South African-born Australian businesswoman. 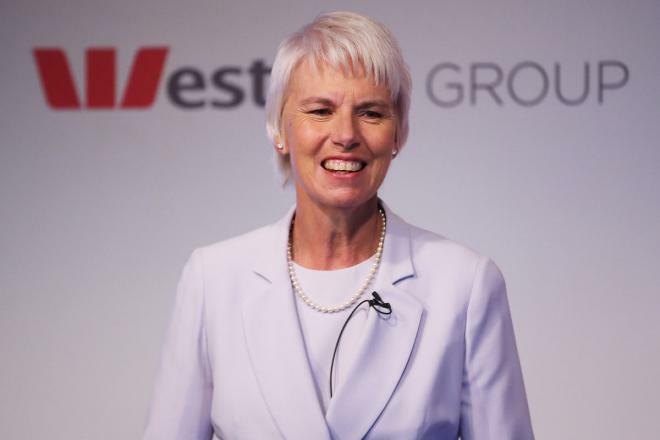 She is the current chief executive officer (CEO) of Westpac, one of Australia's big four banks. In 2002, she became the first female CEO of a major Australian bank or top 15 company and, as of 2005, was the highest paid woman in an Australian corporation. She assumed the position of CEO at Westpac in 2008. As of 2014, she is listed as the 56th most powerful woman in the world by Forbes.